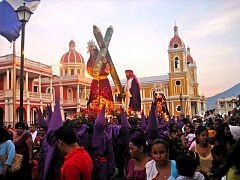 Lent celebrants participating in a street procession during Holy Week. Lent is a penitential period, involving the dual disciplines of abstinence and fasting. During Lent many Christians commit to fasting or giving up certain foods, habits or luxuries - for example meat, cakes and sweets, alcohol, smoking - for its duration (the money saved is often then donated to charity). This is done both as a form of penitence and as a spiritual tool to tame the body and 'sharpen the spirit' for prayer, reflection and contemplation in preparation for the celebration of Easter. Lent lasts for 40 days and the first day is always Ash Wednesday (the day after Shrove Tuesday). Nevertheless, there is often confusion as to when Lent ends! 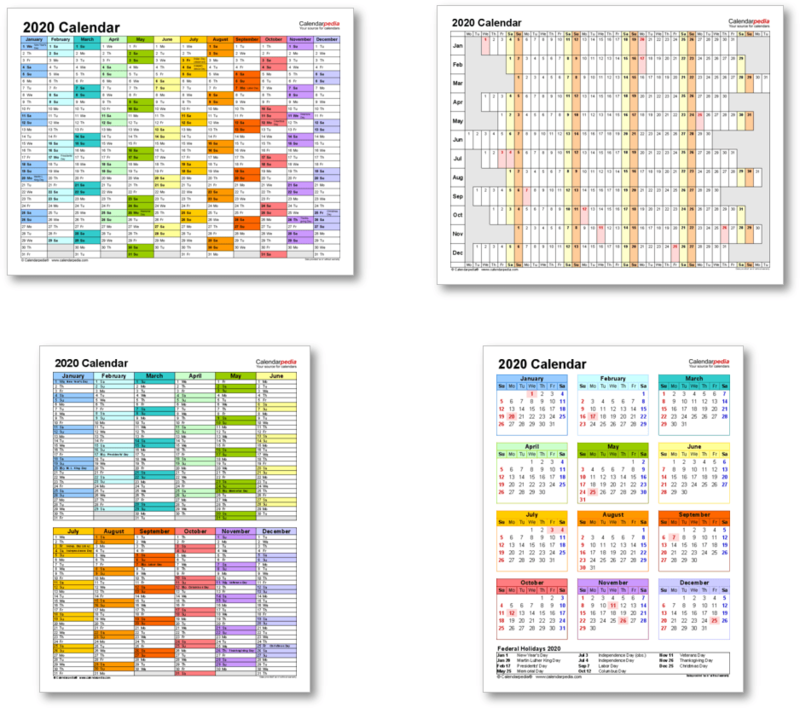 This is partly due to the fact that there are in fact always 46 days between Ash Wednesday and Easter Sunday, and partly due to confusion between the period of the Lenten fast and the liturgical 'season' or period of Lent. The Lenten Fast (which is the period that most people consider to be 'Lent') starts on Ash Wednesday and ends on Holy Saturday (not to be confused with Easter Saturday, the Saturday after Easter). This is a period of 46 days. 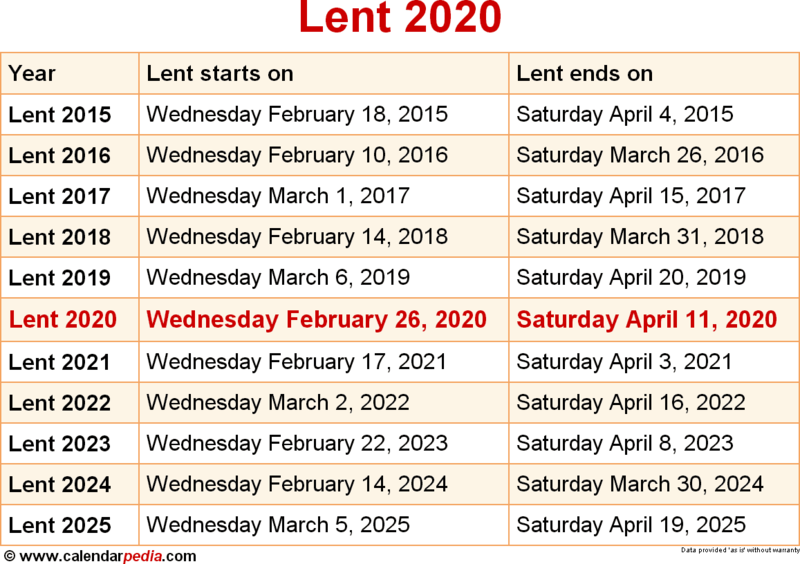 However, the six Sundays within the period are not fast days (Sundays are always feast days in the Christian calendar) and therefore not counted in the 40 days of Lent. Purple is the color most associated with Lent - during this period purple church vestments (altar cloths and the priests' liturgical garments) are used. The purple is symbolic in two ways: it is the traditional color of mourning (recalling Jesus' death) and also symbolic of royalty (celebrating Christ's coming as King). In Eastern Orthodox Christianity Lent is called 'Great Lent' and is the most important fasting period of the year, in preparation for the most important celebration of the year, Pascha (Orthodox Easter Sunday). As in Western Christianity, the period of Lent differs in its dates from year to year, with the dates defined by the date of Pascha, which is a moveable feast. Great Lent begins on Clean Monday (the beginning of the 7th week before Pascha) and runs for 40 days (including Sundays) until Lazarus Saturday (the day before Palm Sunday). Fasting continues until the morning of Pascha.